The NRDC (National Research and Development Centre for Adult Literacy and Numeracy) is a specialist consultancy service set up within the Institute of Education to promote excellence in education. We had worked with the Institute to create and implement a cohesive literature scheme. 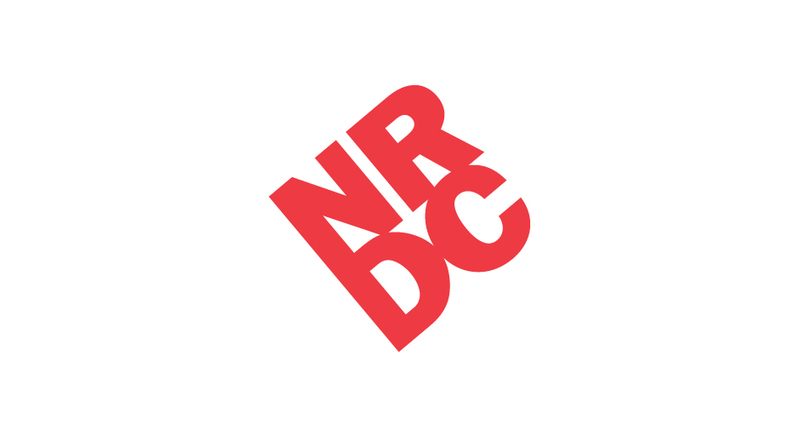 The new NRDC was envisaged as a sub brand that sits within the scheme. 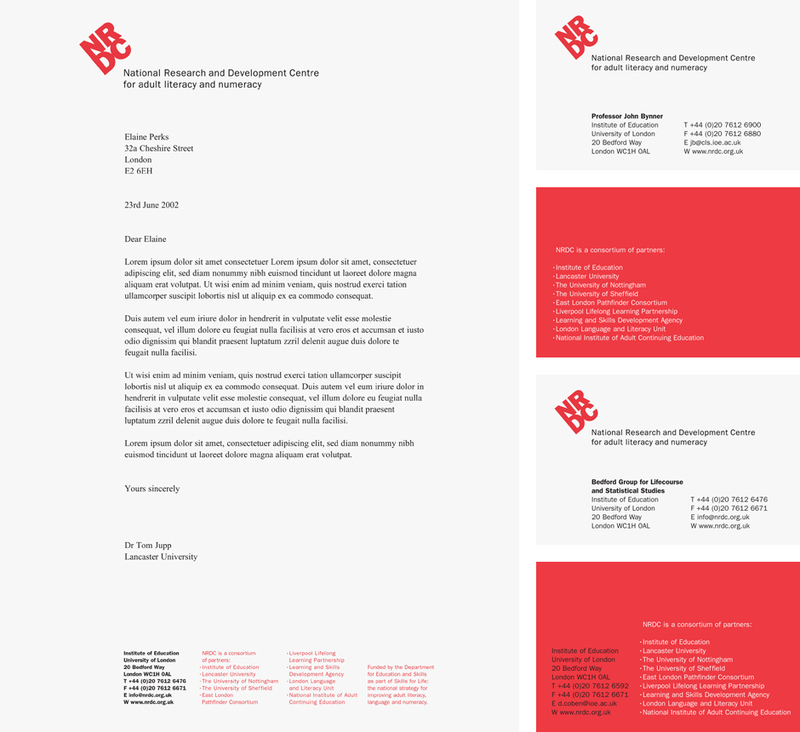 We were asked to create an identity that speaks to the members of the group that belong to the Centre and their ‘end users’ – and express something of the NRDC’s aims – an identity that complements the Institute of Education identity, yet stands strongly and strikingly alone. The Franklin Gothic initials are extremely legible, understated and, in this case, are simply used as a means to an end: the creation of a symbol, an arrow shaped by the space between the letters that points to the full name of the Centre. This symbol can be ‘read’ by an audience that is not literate, as well as by an audience that is. The red and black colour scheme is equally direct, maximising the arrow’s visibility and leaving no room for confusion.